The Finishing Touch to Your Outdoor Living Space! 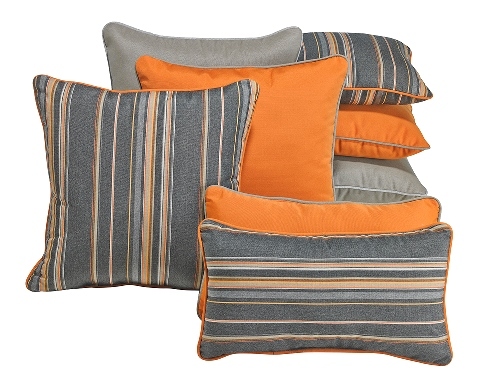 Bowsers Outdoor Furniture Throw Pillow collection features fresh, classic neutrals and vibrant stripes. Bowsers sunbrella Outdoor fabrics are resistant to water, mould, mildrew and stains. These solution dyed acrylic sunbrella fabrics have superior durability (60,000 double rubs) and color fastness (1500 UV hrs rating) vs the cheaper than imitation printed polyesters.